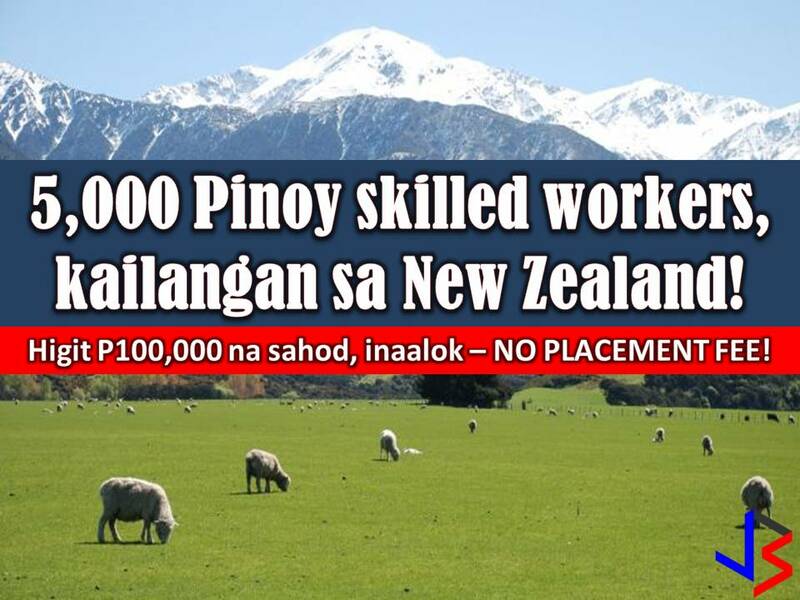 THOUGHTSKOTO Thoughtskoto : New Zealand is Hiring Filipino Workers: Needs 5,000 Filipino Skilled Workers - No Placement Fee! New Zealand is Hiring Filipino Workers: Needs 5,000 Filipino Skilled Workers - No Placement Fee! If working in New Zealand is one of your dreams, this is your chance. According to Philippine Overseas Employment Administration (POEA), New Zealand is in need of 5,000 skilled workers. In-demand jobs in New Zealand are carpenters, mason, farm workers, scaffolder and other construction related jobs. In line with this good salary is being offered to Filipinos. For carpenters, the salary is 2,400 New Zealand dollars or equivalent to P89,000. 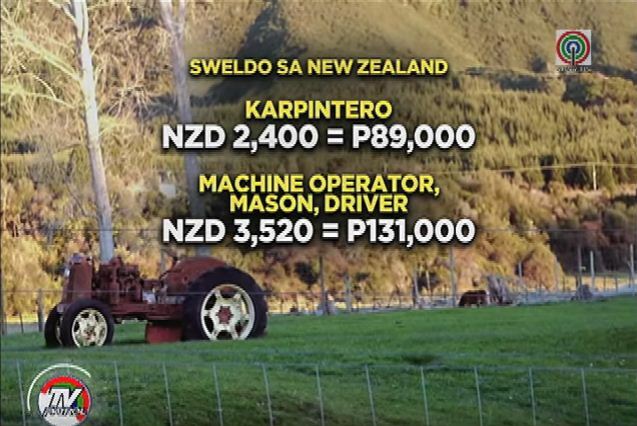 The laborers, machine operators, mason, and drivers will receive around 3, 520 New Zealand dollars or equivalent to P131,000. POEA said recruitment agency are particular with work experience of an applicant. It said it is important for an applicant to have at least three years work experience in other country proof that they are know how to work with modern equipment. According to Philippine Association of Service Exporters Incorporated (PASEI), the application process for those who want to work in New Zealand takes up to three months. And because of the strict requirements, they have background checks on applicants by calling their previous employers. But the good news, this opportunity is no placement fee. According to POEA, rehabilitation in New Zealand is on going after it was devastated by the strong quake in 2011. To view more jobs orders from New Zealand from POEA website, click here!